It’s shaping up to be an exciting year for owners of classic cars on the Island. We are planning a few changes at Wight Classics including some new faces joining the team and we wanted you to be the first to know. Jackie is determined to retire in 2019 and properly this time! We have to see this as an opportunity to evolve Wight Classics and to move forward. Tim Addison has joined the business and will take responsibility for the business management and administration. Tim has a long association with classic cars and was part of the organising team at Silverstone for the first International Historic Festival in 1990 now called the Silverstone Classic). He spent many years working on many other vintage and historic race events, participating on classic events such as the Norwich Union Classic, HERO’s LEJOG and Throckmorton Challenge as well as numerous 12 car rallies. This all allows Mark to concentrate fully on the fabrication and bodywork part of Wight Classics. His focus will be to increase the capacity of our coachworks, which will speed up our turnaround times for both small and larger bodywork projects. Our workshop will see two new technicians starting in January. 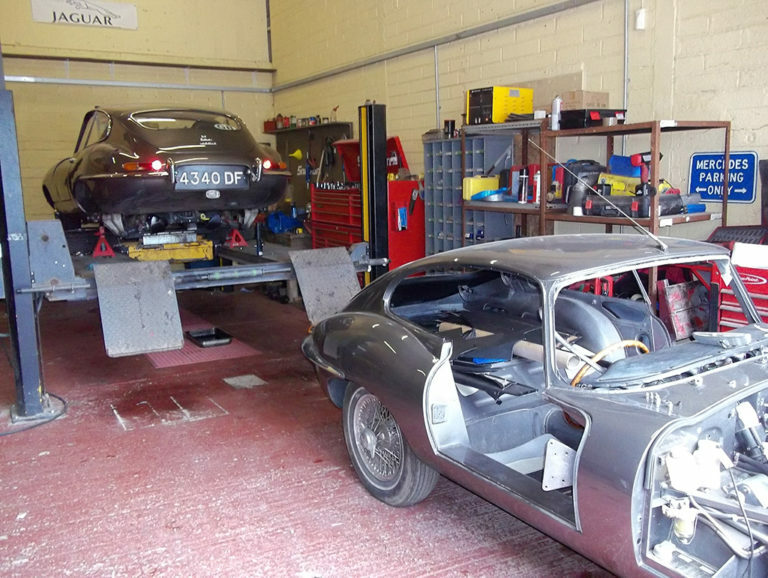 Dave and Stef bring vast experience to Wight Classics and again will improve our ability provide classic car repair and maintenance services along with Jonathan. We are looking to provide a range of new services aimed to support classic car owners on the Isle of Wight, including annual safety checks and servicing. Perfect for those owners whose cars now don’t require an MOT test, but would appreciate the reassurance of a regular service and check over. So if you were looking for an excuse to visit Wight Classics why not pop over to Arreton Barns and meet the new team members? Otherwise it’s very much ‘business as usual’ at Wight Classics.